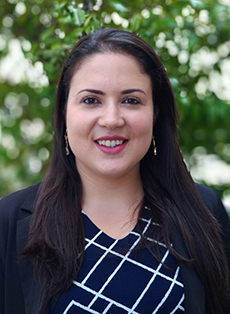 Giuliana Chaves Moreira joined the Pacific Institute in 2017 as a research associate, conducting research and analysis on water stewardship issues in Brazil and supporting the United Nations Global Compact’s CEO Water Mandate as well as the WASH4Work initiative. Alongside this work, she supports the engagement of the CEO Water Mandate with the United Nations Global Compact Brazil Network on water stewardship at the local level, focusing on connecting the CEO Water Mandate and the Water Stewardship Toolbox — a project of the CEO Water Mandate — with companies’ water stewardship efforts in Brazil. Prior to joining the Pacific Institute, Giuliana worked at the Food and Agriculture Organization of the United Nations (FAO) on a project focused on the expansion of the safe use of wastewater in agriculture and agroforestry, and she also supported the development of FAO’s Global Framework on Water Scarcity. She holds a BS (with Honors) in Environmental Sanitation from the Federal Institute of Education, Science and Technology (IFSUL) in Brazil and a Master’s degree in Water Resources and Environmental Sanitation from the Federal University of Rio Grande do Sul (UFRGS) in Brazil.